This is for 3 dollar sign soaps. 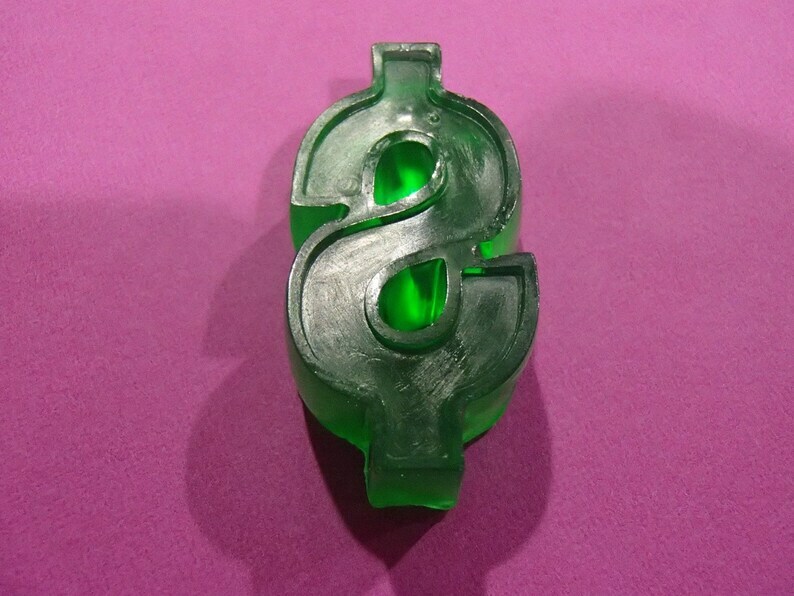 Each dollar sign shaped soap weighs ~0.5 ounces. These soaps are ~2 inches by ~1 inch and ~0.5 inch thick. The soaps are colored green and scented lemon.